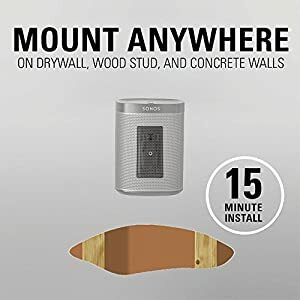 Enjoy optimal audio quality from anywhere within the room with the SANUS WSWM adjustable wall mount, designed especially for the Sonos ONE, PLAY:1 and PLAY:3 in addition to other wireless speakers weighing as much as 10 lbs. 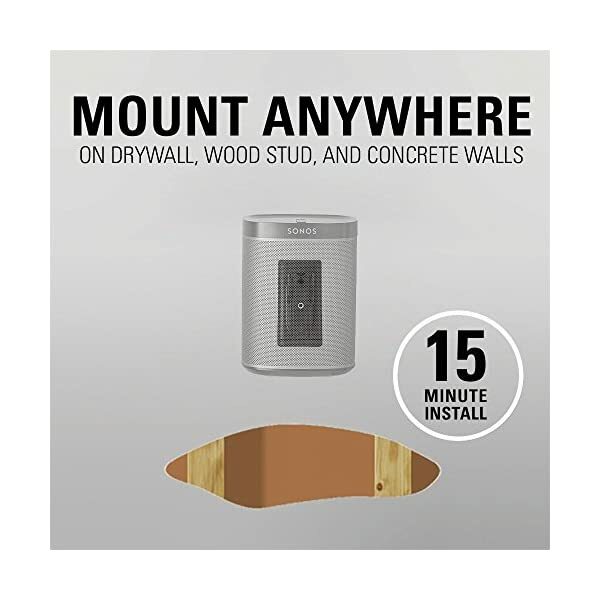 Installing to drywall, wood studs or concrete in only 15 minutes and boasting effortless tilt and swivel capability, the placement flexibility of the WSWM makes it versatile enough for any system setup and for voice integration technology like that of the new Sonos ONE. 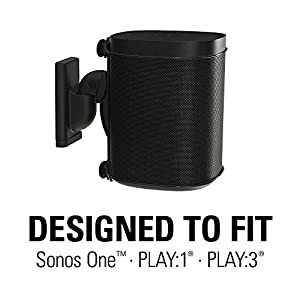 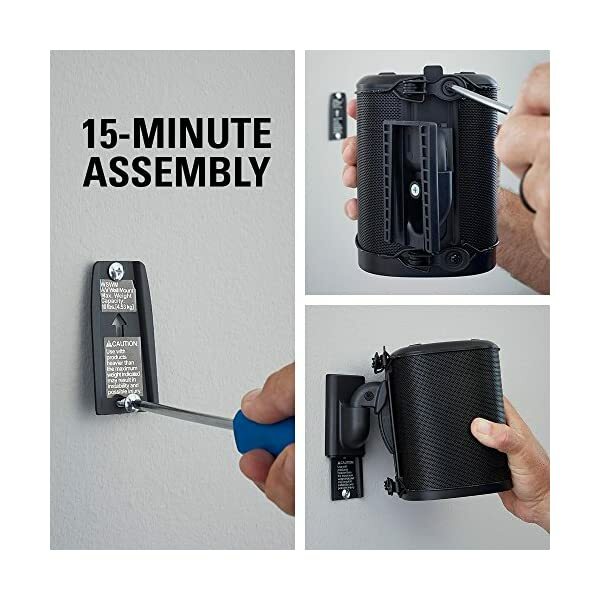 Wary of mounting your new Sonos ONE to the wall? 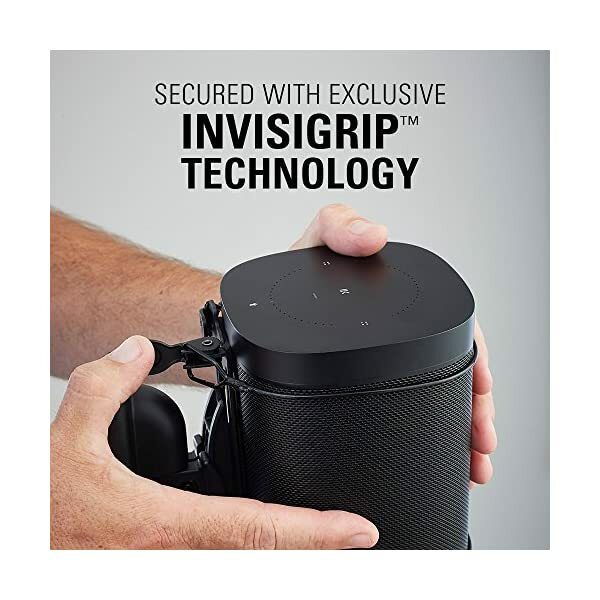 Rest assured that your speaker will stay protected and in-place thanks to exclusive Invisigrip technology: Two ultra-thin, virtually invisible wires wrapping across the top and bottom of your speaker to keep it snugly in place. 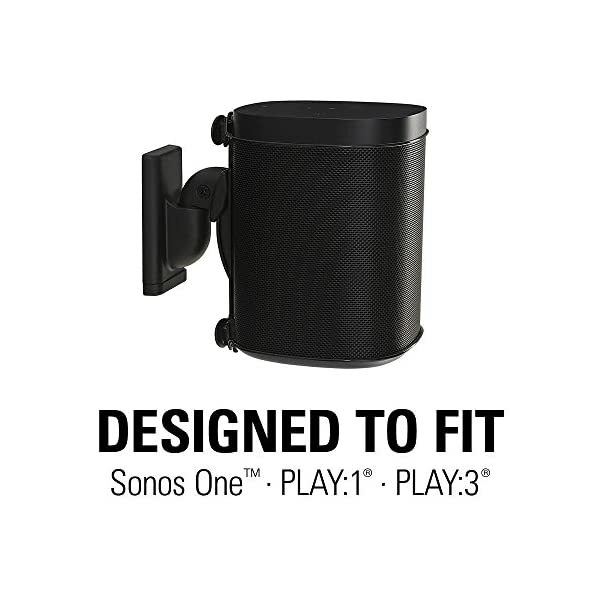 Enjoy optimal audio quality from anywhere within the room with the SANUS WSWM adjustable wall mount, designed especially for the Sonos ONE, PLAY:1 and PLAY:3 in addition to other wireless speakers weighing as much as 10 lbs. 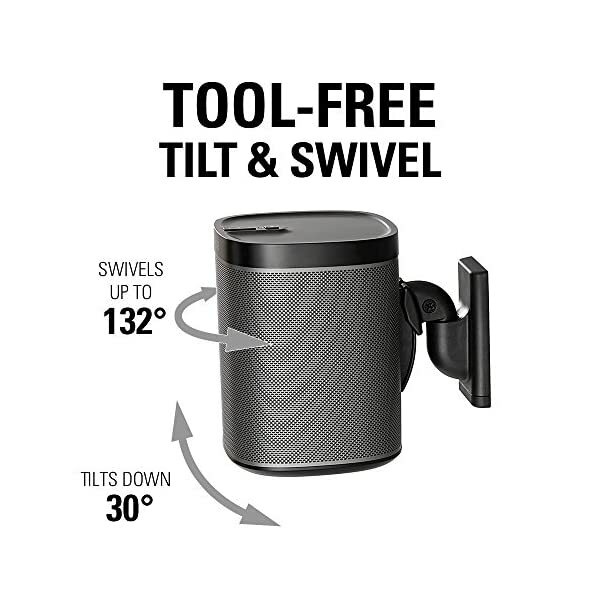 Installing to drywall, wood studs or concrete in only 15 minutes and boasting effortless tilt and swivel capability, the placement flexibility of the WSWM makes it versatile enough for any system setup and for voice integration technology like that of the new Sonos ONE. 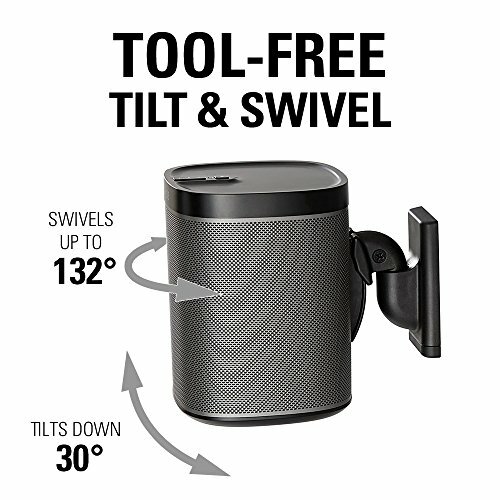 Wary of mounting your new Sonos ONE to the wall? 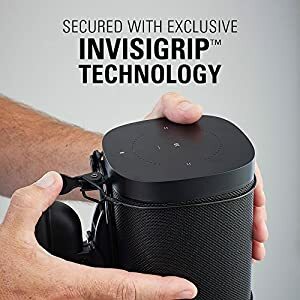 Rest assured that your speaker will stay protected and in-place thanks to exclusive InvisiGrip technology: Two ultra-thin yet ultra-strong, virtually invisible wires wrapping across the top and bottom of your speaker to keep it snugly in place. Enjoy perfect listening from anywhere within the room by mounting your speakers to the wall with a Sanus adjustable mount. 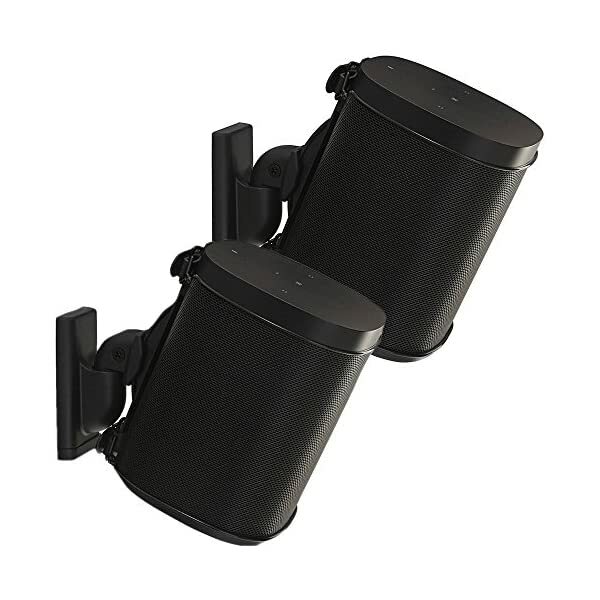 Point the speakers exactly where you want with 132º of smooth speaker swivel and 30º of tilt adjustment. 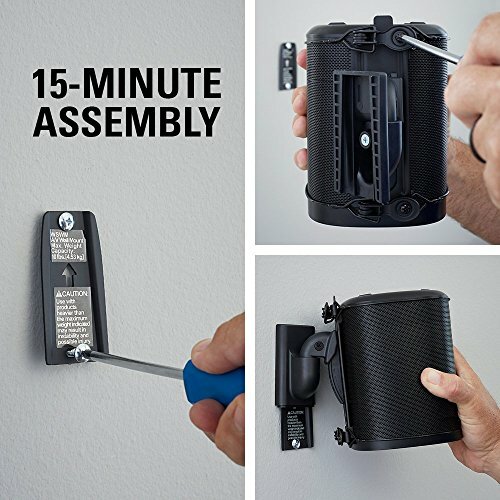 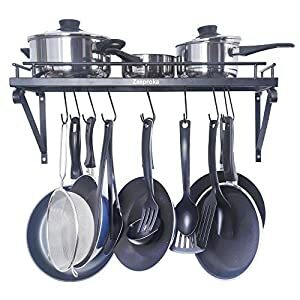 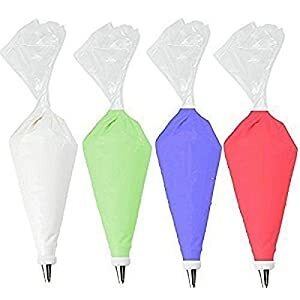 All you want is your hands, no tools required. 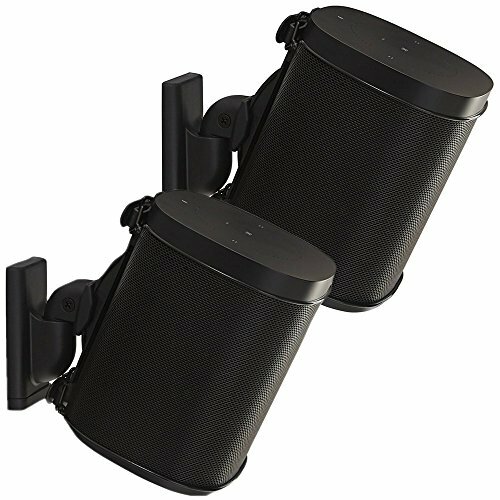 Sleek, subtle mounting solution facilitates immersive audio for your kitchen, home theater or anywhere else. Exclusive InvisiGrip technology blends seamlessly with your speaker. 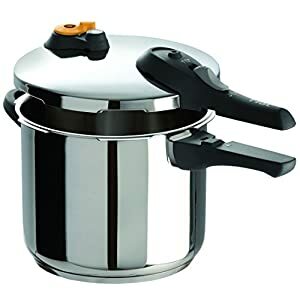 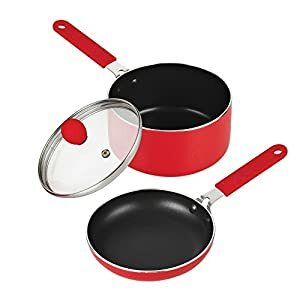 It works with what you have got. 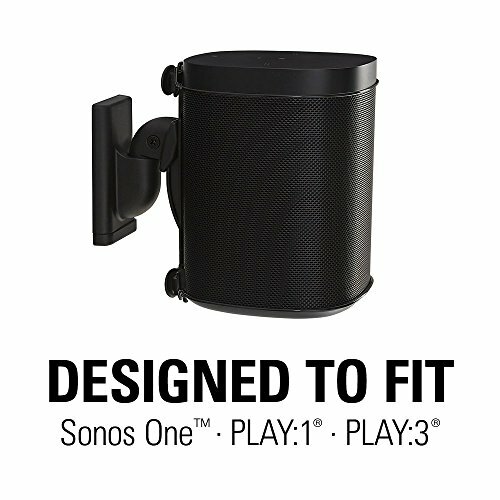 Designed especially for the Sonos ONE, PLAY:1 and PLAY:3, but may also with other speakers. See the compatibility list within the description below.